Peace Of Mind: Relax And Meditation - personal psych in digital version. There are 3 prepared modes: Meditation, Breathing Exercises and Listener mode. Calm down and relax while meditating or doing exercises. Listener mode for speaking about all annoying problems, where you can say about difficulties in your life and solutions that you see in these situations. Each mode has a description about what you should do with it. Don't keep everything inside, try to reach peace of your mind. 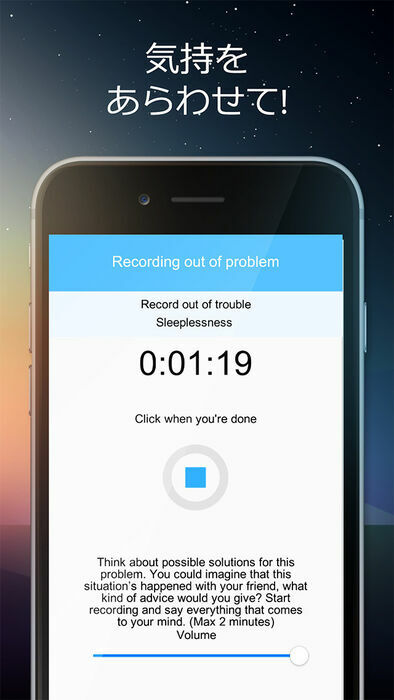 Incredibly useful application - Peace Of Mind: Relax And Meditation.